Galeshewe SAPS and CPF conduct Crime Awareness campaign. 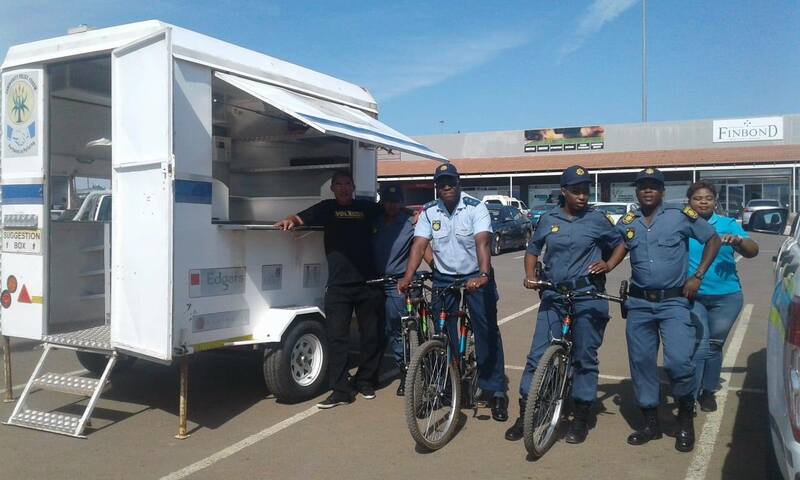 Northern Cape: Galeshewe Visible Policing members together with CPF members were at theGaleshewe Shoprite Complex doing bicycle patrols, foot beat and distributing pamphlets addressing safety at the ATMs, theft out of motor vehicle, housebreaking, theft and assaults. Emer-G-Med Paramedics attended an crash on the N3 North- Caltex Minta Vista Garage. Two vehicles collided. Multiple patients treated and transported by paramedics to Thebe Hospital.